Following the unexpected failure of Envisat in early 2012, ESA is now focusing on its replacement, the satellites of the Sentinel Mission. Development of these have been underway for some years, but none is scheduled to be orbited before mid 2013. Due to the complexity of the project there will be no fewer than five Sentinels, some of these dedicated satellites in their own right, others simply packages that will share platforms with MTG and Metop spacecraft. 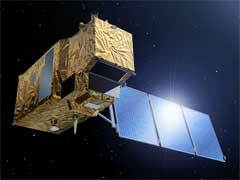 The Sentinel-1 mission will consist of a constellation of two sun-synchronous, polar orbiting satellites. devoted to Synthetic Aperture Radar (SAR) applications. Sentinel-1 will carry a C-band radar imaging mission aimed at providing continuity with the ERS and Envisat data products. The mission's prime objectives will include the monitoring of Arctic sea ice extent; surveillance of the oceans (including oil-spill monitoring and ship detection); mapping for forest, water and soil management; and mapping to support humanitarian aid and crisis situations. Sentinel-2, also a twin satellite system, is the optical segment of the mission, and the first satellite is planned to circle the Earth from 2013 with its twin following it into orbit in 2015. Sentinel-2 will carry the multispectral instrument (MSI) which will generate wide-swath, high-resolution optical images in 13 spectral channels in both the visible and short-wave infrared ranges, and is intended to image Earth's landmasses from its 800�km sun-synchronous polar orbit for at least 7�years. This will provide a supply of comprehensive data for land monitoring, including imagery land cover, forestry and waterways as well as fast imaging for disaster control and humanitarian relief programmes. The principal objectives of the Sentinel-3 spacecraft are the measurement of sea-surface topography, sea- and land-surface temperature and colour, to support ocean forecasting systems and environmental and climate monitoring. 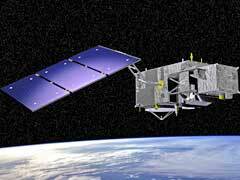 The mission will also provide measurements of atmospheric chemistry. The instrumentation includes the Sea and Land Surface Temperature Radiometer (SLSTR) which will determine global sea-surface temperatures to an accuracy of better than 0.3�C; an Ocean and Land Colour Instrument (OLCI) with 21 spectral bands which will provide a resolution of 300 metres over all surfaces; and a dual-frequency (Ku and C band) advanced Synthetic Aperture Radar Altimeter) which will provide along-track measurements at a resolution of approximately 300�metres in SAR mode. Sentinel-4 is a payload that will be flown on a Meteosat Third Generation-Sounder (MTG-S) satellite in geostationary orbit, and is provisionally scheduled for a 2019 launch. Sentinel-4 is dedicated to atmospheric monitoring and will provide continuous measurement of the atmosphere's chemistry at high temporal and spatial resolution. Some of the main main data products will relate to O3, NO2, SO2 and aerosols. Sentinel-5 will fly as a payload aboard a future Metop Second Generation satellite, likely to be launched in 2020. Also dedicated to atmospheric monitoring, Sentinel-5 will increase the frequency of cloud-free observations required for the study of tropospheric variability. Five years prior to this, a Sentinel-5 Precursor mission is expected to launch to provide measurements of ozone, NO2, SO2, CO and aerosols. 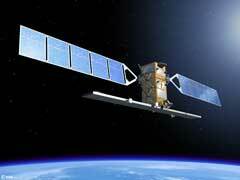 This mission is designed to bridge the inevitable gap between NASA�s current EOS Aura Mission and Sentinel-5. The precursor payload is a UV-VIS-NIR-SWIR spectrometer tailored from the Sentinel-5 specifications to give priority to spectral resolution.